Episode #119- It’s a Hardrock Life! On location is Silverton Colorado for the Hardrock 100. Aric snagged a few people for a roundtable on what makes Silverton and the Hardrock 100 so special. Thank you Breein, Harrison and Jeff for joining in and thanks for the fun miles in the San Juans! PC: Some stranger on the top of Grant Swamp Pass. After we catch up on some local weekly news we jump right into a topic that is dear to our hearts- pacing. 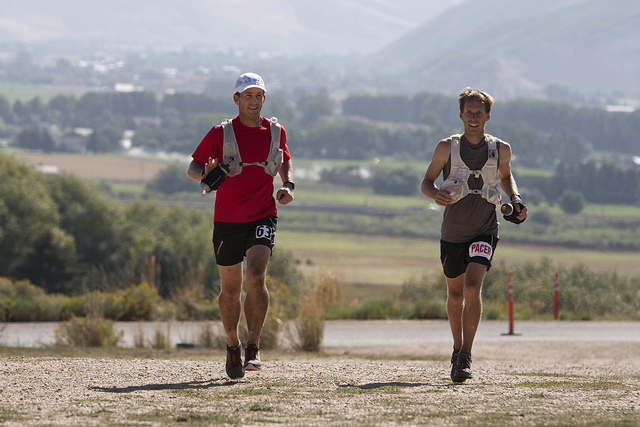 Now pacing a trail/ultra race is a totally different ball game than pacing at a road race. How do you select a pacer? What makes a good pacer? What are a pacers duties? Pacing pros and cons? Pacer preparations? Do you need a pacer? Is there pacing pressure? Pacer gifts? Car drops? We dive into all these topics and hope to answer some questions and entertain you at the same time. Make sure you listen to the end so you can jump in and participate in the next TM contest. We look forward to hearing those great pacer stories!